The AIM-9 Sidewinder is a short-range air-to-air missile which entered service with the US Navy in 1956 and subsequently adopted by the US Air Force in 1964. Since then the Sidewinder has proved to be an enduring international success, and its latest variants are still standard equipment in most western-aligned air forces. The Soviet K-13, a reverse-engineered copy of the AIM-9, was also widely adopted by a number of nations. Low-level development started in the late 1940s, emerging in the early 1950s as a guidance system for the modular Zuni rocket. 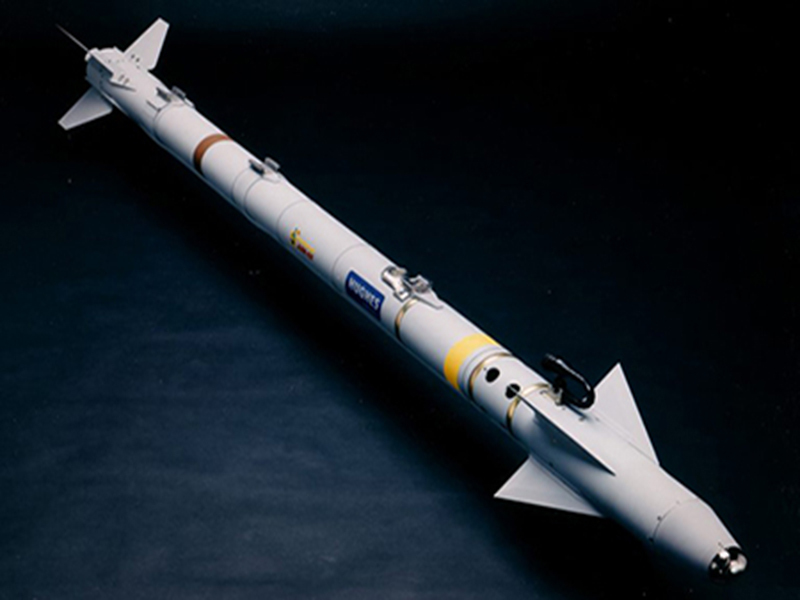 This modularity allowed for the introduction of newer seekers and rocket motors, including the AIM-9C variant, which used semi-active radar homing and served as the basis of the AGM-122 Sidearm anti-radar missile. Originally a tail-chasing system, early models saw extensive use during the Vietnam War but had a low success rate. This led to all-aspect capabilities in the L version which proved to be an extremely effective weapon during combat in the Falklands War and the Bekaa Valley Turkey Shoot. Its adaptability has kept it in service over newer designs like the AIM-95 Agile and SRAAM that intended to replace it. The Sidewinder is the most widely used air-to-air missile in the West, with more than 110,000 missiles produced for the U.S. and 27 other nations, of which perhaps one percent have been used in combat. It has been built under license by some other nations including Sweden, and can even equip helicopters, such as the Bell AH-1Z Viper. The AIM-9 is one of the oldest, least expensive, and most successful air-to-air missiles, with an estimated 270 aircraft kills in its history of use. When firing a Sidewinder, NATO pilots use the brevity code FOX-2. Manufacturer	Raytheon Company Ford Aerospace Loral Corp.